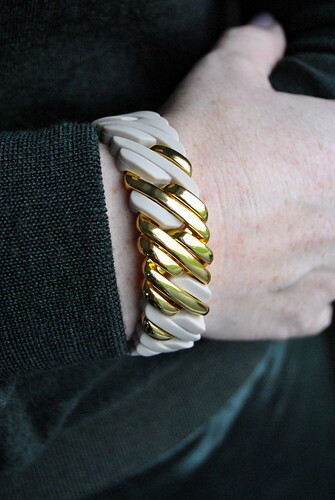 In today’s sneak peek a dark olive green… and my “The Rubz” bracelet! Why don’t you visit my blog again tomorrow to see the entire outfit. This entry was posted in Fashion, Winter and tagged Fashion, outfit, sneak peek.